For the past two years, the United States has been torn by partisan warfare unprecedented in most of our lifetimes. But compared with what we can expect after the midterm elections, this will look like a period of relative calm and tranquility. This will be particularly true if Democrats take control of the House. The minute the polls close, President Donald Trump and the prospective Democratic presidential candidates will be liberated to begin their campaigns for the 2020 election. This full engagement will create an imperative for both Trump and the Democrats to heighten their differences. The result will be that an already toxic political environment will become even more poisonous. The incoming class of Democratic members in the House will be among the largest and most consequential since the Watergate class of 1974, and will usher in the most significant generational, gender, racial and ideological transformation in more than 40 years. These newly elected members will put added pressure on the Democratic Party to pursue a more aggressive liberal policy agenda to take on Trump and the Republicans. The presidential primary process will almost certainly push the party even further to the left. A large field of prospective candidates will begin a race to establish their bona fides and make a case to lead the resistance. They will compete for the votes of a Democratic community that is angry, energized and looking for a leader who is prepared to draw stark policy contrasts with Trump and his administration on economic, environmental and social issues. These activists’ influence will be greater than in the past because of several factors, including the front-loading of the California primary in early March and changes to the party’s nominating process that diminish the influence of superdelegates. Trump can be expected to begin a purge of his Cabinet and staff that will enable him to pursue a more muscular nationalistic agenda. He has been waiting for the conclusion of the midterm elections to dump many of his zombie Cabinet and staff members and replace them with loyalists who will “let Trump be Trump.” This sweep is likely to be broad and deep and go well beyond his chief of staff and attorney general. Meanwhile, a democratic takeover of the House would lead to two years of investigations, public hearings and the possible impeachment of Trump. Both Democrats and Trump will embrace these investigations as a way to energize their respective bases for the upcoming election. A Democratic House would give Trump a foil to once again portray himself as an outsider taking on Washington. He has always defined himself by focusing on who and what he is fighting against. Liberated from having to make excuses for the failings of a Republican-led Congress, he will be able to reframe his presidency and reelection campaign as a fight against Washington and the leadership of Nancy Pelosi. 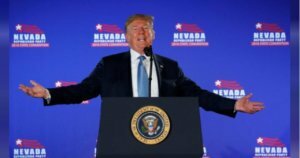 Trump will increase his dominance over Republican members in the next Congress, as their ranks have been purged of many who haven’t fully supported him. More than 40 Republican House members have retired this cycle, including the speaker and 10 committee chairmen. Three of Trump’s biggest Republican adversaries -John McCain, Jeff Flake and Bob Corker in the Senate – won’t be in in the next Congress. With these departures and likely electoral defeats this November, there will be more than 400 years of Republican seniority departing this Congress. Trump’s hostile takeover of the GOP, and his legal vulnerabilities, will likely lead to a 2020 Republican primary. 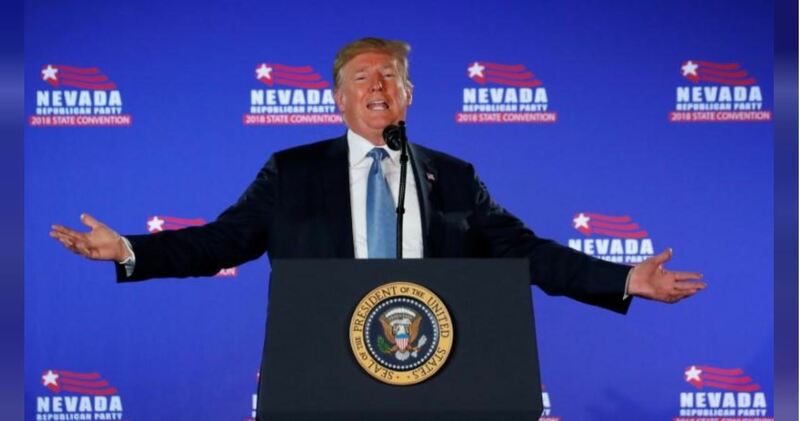 Unlike other sitting presidents, the heavily favored Trump will embrace a primary as a way to further define himself while attacking the opposition. A primary would give Trump the opportunity to energize his base by pursuing his red-meat nationalist message against a more mainstream and measured primary opponent. Over the next two years, these series of actions will all feed off each other, fundamentally altering the tone and tenor of the presidential election. Oddly enough, the outcome of the midterms will incentivize Trump and the Democrats to rely on the same tactics to distinguish themselves: greater acrimony, more extreme positions and continued efforts to define themselves in stark terms. Before it’s all over, the American public is going to wish for what will seem like the temperate days of political restraint shown by the parties during the first two years of the Trump presidency.